Episcopal pastors and lay leaders have elected The Rev. Gregory O. Brewer, rector of Calvary-St. George’s Church in New York City, to head the Episcopal Diocese of Central Florida. 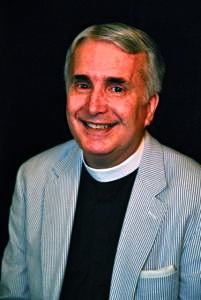 The diocese reports Brewer was chosen on the 4th ballot from the seven nominees for the position. He got 141 votes of 241 cast by lay order and 110 of the 192 votes by the clergy. An election on that ballot required 125 in the lay order and 95 in the clergy order. The election was held during a special Saturday convention at Trinity Preparatory School. Winter Park. Under canons of the Episcopal Church, a majority of bishops exercising jurisdiction and diocesan standing committees must consent to the bishop-elect's ordination as bishop within 120 days of receiving notice of the election. Rev. Brewer has significant ties to Central Florida. He was ordained a priest at All Saints’ Episcopal Church in Winter Park, and his wife Laura is from Orlando. The couple has five children. Rev. Brewer’s current parish, Calvary-St. George’s Church, has 500 members, and is described as multi- cultural and multiracial, and is located in downtown Manhattan. If the process goes as expected, he will be consecrated as the fourth bishop of Central Florida on March 24. The Diocese of Central Florida says it has 31,000 baptized members at 88 parishes and missions in 15 counties.